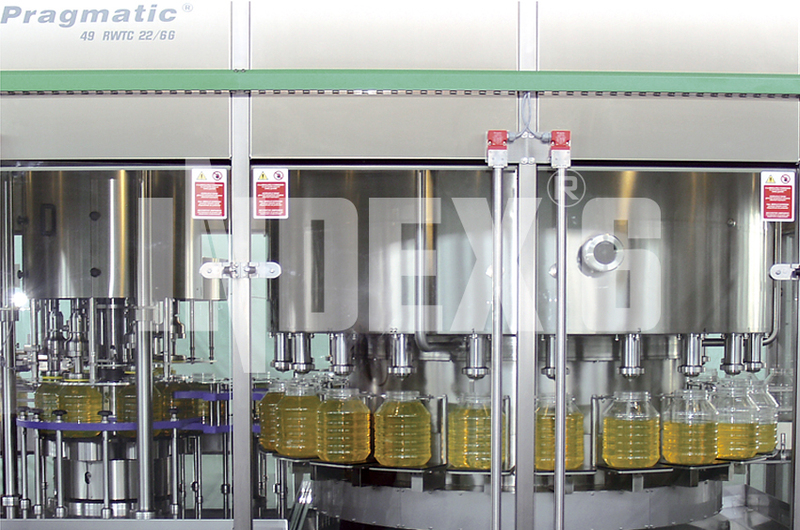 Using the equipment range of INDEX-6® you can form a flexible filling line for edible oils. 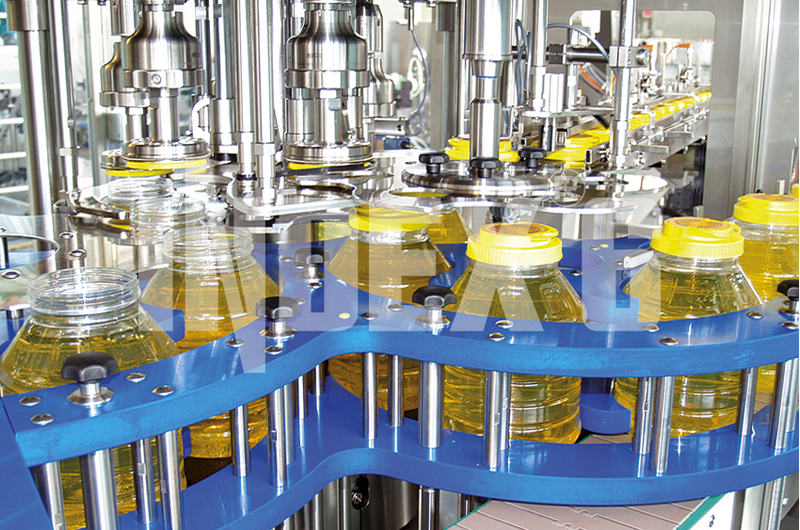 This can be a high-capacity line composed of rotary machines or Multiblocs from the Pragmatic® series, as well as extremely universal line made of comprising linear machines and allowing to fill edible oils and other products in glass bottles and jars, cylindrical and flat plastic bottles, as well as buckets. 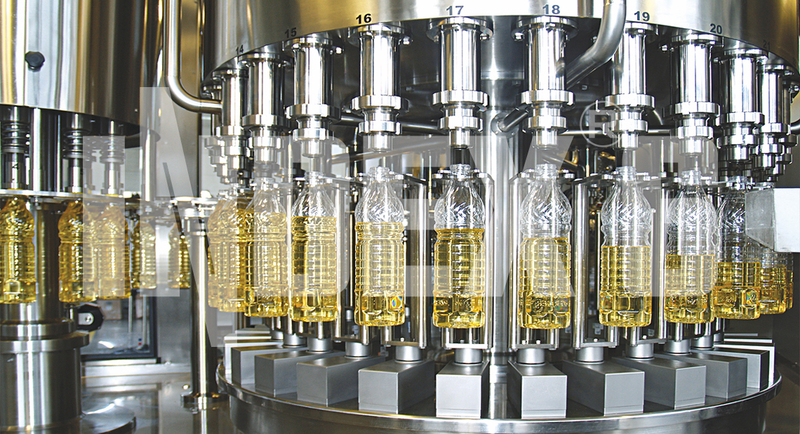 The volume of product dosed can vary from 0.2 l to 3.0 l for the same line. 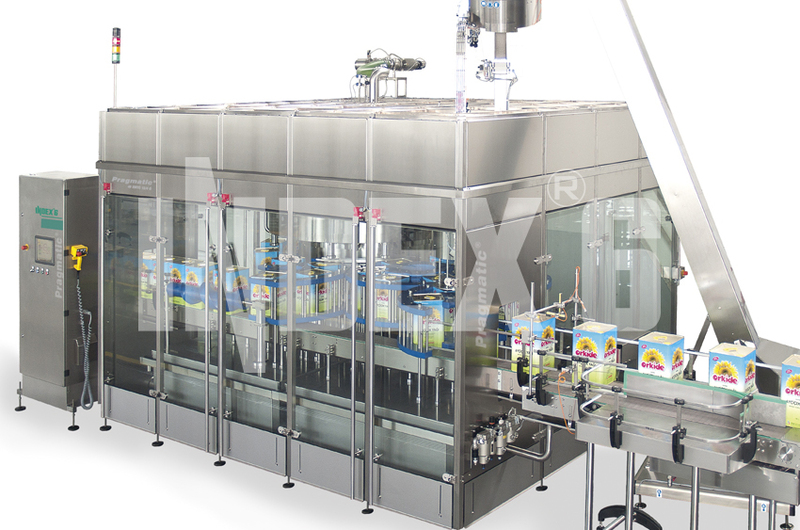 In such wide variety cases the line is equipped with two or three different closing machines and a combined labeling machine for application of front, back and top (L or U shaped) label. After labeling, group-packing is performed by wrapping the containers in thermo-shrinkable foil or placing them in cardboard boxes. The effective capacity range that we cover with our different line configurations is from 2000 bph to 18000 bph.